Soy sauce is a common condiment in Asian cooking. It’s made from soybeans and gives dishes a rich intense taste but the problem is it also has high sodium content. A tablespoon of soy sauce can contain up to 1,000 mg of sodium. Foods high in sodium can cause increased blood pressure and has been linked to thyroid dysfunction. Additionally, a lot of soy sauce is produced using a highly chemical process. I’ve developed a lot of interest in Asian food since the beginning of the year, which has led to including soy sauce in my diet. However, as I’ve studied it more, I’m not comfortable with the health implications. In searching for a suitable alternative, I came across coconut aminos. Coconut aminos are derived from the sap of coconut. The sap is collected and blended with unbleached and unrefined sea salt then aged (up to 1 year) to produce coconut aminos. While not having the exact same taste as soy sauce, it provides a good balance to dishes and isn’t as salty as regular sodium sauce. It’s a dark and rich colour as well. 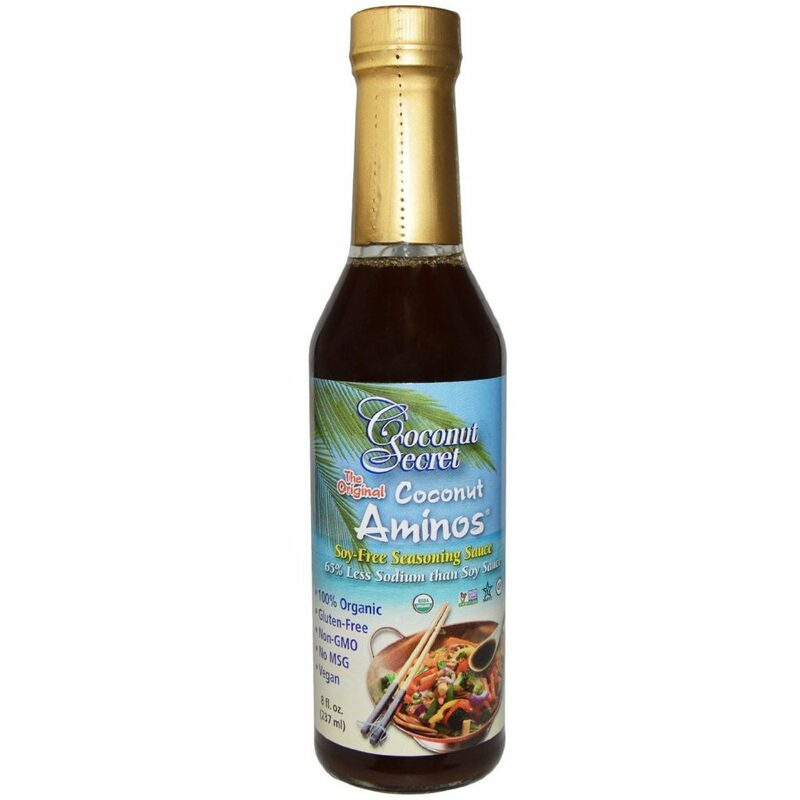 Coconut aminos is gluten free. It contains a significant amount of amino acid, up to 17 types, which is the base for building protein in the body. They also help boost the functioning of the immune system. It has a low-glycemic index (GI of 35). 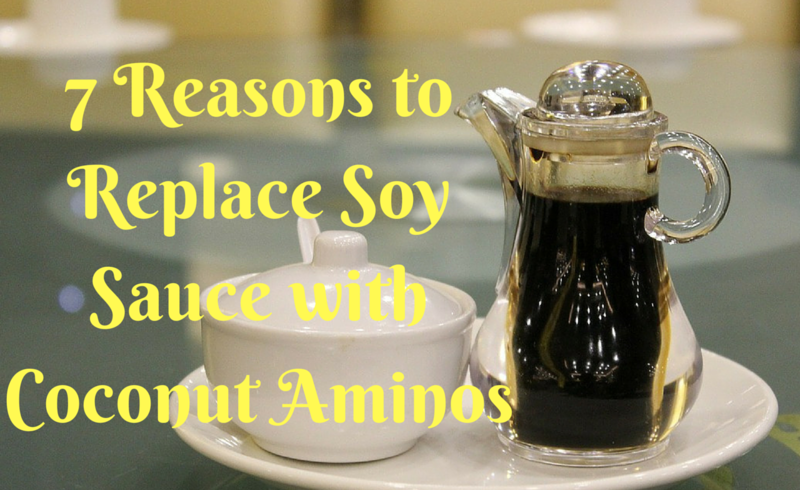 It contains up to 65% less sodium than regular soy sauce. It has a neutral pH, which helps to maintain proper acid/alkaline balance in the body. 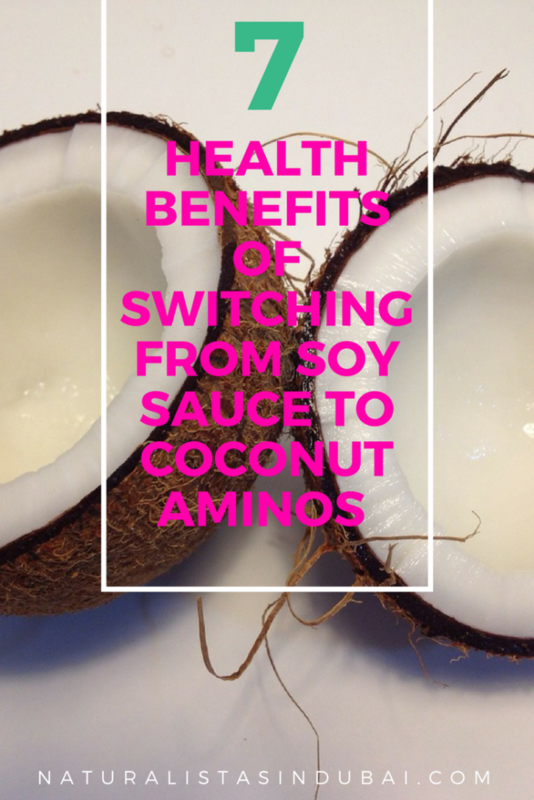 It contains several B vitamins such as thiamine, riboflavin, panthothenic acid, niacin, biotin and folic acid (excellent for healthy hair growth) as well as vitamin C.
My favourite brand of coconut aminos is Coconut Secrets Coconut Aminos. The brand is economical and certified organic. I haven’t located coconut aminos anywhere in Dubai and usually get mine from iHerb. Once opened, coconut aminos should be refrigerated. 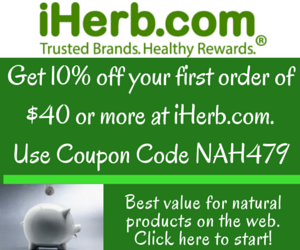 You can get 10% off your first order HERE. If your order is above $40, you also get cheap shipping to Dubai for only $8 no matter the weight of your shipment. I tried this. It was great. Didn’t notice the difference at all.